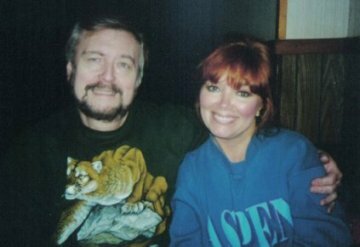 We learn from Carey (at about 04:15 into the interview) that it was Joe Beason who contacted him after Beason had attempted to interest Stan Friedman in the slides. Friedman, according to Carey, was too busy to follow the lead and suggested Carey to Beason. This bothers me because it would seem that Stan, who has been very protective of his leads about Roswell, handed to Carey what could have been the most important evidence of the Roswell case. I wonder if there was something in that communication between Stan and Beason that suggested to Stan that he be wary. At the 5:24 (all times approximate) point, Carey said that he received an email with the scan of two slides in it. At 6:31, according to Carey, Beason suggested that the slides were related to Roswell. At 11:57, Carey said that when he first saw the slides, he thought the image matched the descriptions of the aliens that he had received from various witnesses who had claimed to have seen the bodies. At 15:46, in what is an important point, Carey said that Beason told him that the codes on the edge of the film matched that used by Kodak in 1947. The problem is that that code was used for motion picture film and that slide film had a different coding system (though there seems to be some suggestion that some of the slide film might have had the motion picture code on it). The problem is that when we were all shown the whole frame from one of the slides, there is no coding on it. That coding didn’t appear on every slide, but was spread out through the length of the roll of film. I had noticed that the slides in play were number 9 and number 11, but number 10 was missing. Carey mentioned this as well (at 17:51), but said that Beason claimed that slide number 10 was lost. Carey mentioned that this seemed to be a problem, but clearly it wasn’t a big one for him. I wondered, of course, if what was seen on number 10 wouldn’t have clearly identified the image. At 20:36, Carey talked about the anthropologists that he attempted to get to review the slide. He said that he sent it to the smartest anthropologist he knew and that man told him the image was not of a human. image that Tom Carey shared with anthropologists. Rob asked, if he had permission because of the non-disclosure agreements he and Don Schmitt had signed. Carey said that Adam Dew, who had partnered with Beason, had produced a trailer of a documentary he planned, and in that documentary, the image on the slide was revealed, possibly by mistake. 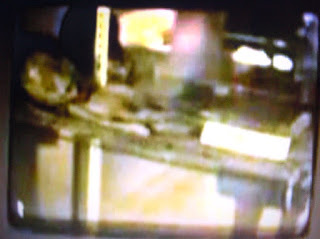 This image was seen at an angle on a computer screen so that those outside the inner circle now had a poor image with which to work. This lousy image is what Carey was sharing with those anthropologists whose opinion he wanted. He said that the idea of UFOs and Roswell was toxic so that the anthropologists wouldn’t discuss it with him. He gave the impression that these anthropologists refused to even look at the image. At 29:00 he mentioned that MUFON has an anthropologist as one of its consultants and the consultant thought it was a genetically deformed human. Then Carey mentioned that some of the anthropologists provided opinions off the record which, of course, is not the same thing as refusing to even look at the slide which is what he had claimed. They too seemed to believe in some sort of genetic deformity but according to Carey, no one said that it was a mummy (which is strange because that was the thought that most of us had even looking at the poor image captured from the documentary trailer). Of course, the real problem is that he was giving them the poor image and not the best resolution scans he had which might contributed to the lack of cooperation. In a big revelation, found at 36:28, Carey is talking about the logistics of the situation with everyone involved scattered over two countries. The five principals, however, met in Chicago long before the great reveal in Mexico City. At this meeting, according to Carey, they were shown the slides to prove that slides actually existed. This brings up lots of questions, especially about how clear those slides were and if they were projected on a screen… which would provide a better look at the background, meaning it should have been obvious that it was a museum setting, and if the placard which became so critical to the story could be read. 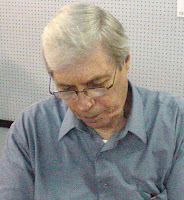 Two or three minutes later, Carey again addressed the problem of reading the placard and how no one could do it at that time. At 40:07, after Rob McConnell asked him about the image and the identity, Carey explained that although the placard does suggest it was a child, Carey didn’t believe that the image on the slide was a two-year-old child, because it was too tall. He doesn’t believe that it is a 900-year-old mummy but something that had died more recently. He doesn’t believe it was the child found by Palmer in 1898, though it resembles it. He seemed to base this belief on the size of the mummy, but he, like everyone else is working off the image on the slide so the analysis of the size of the image can be disputed and given the documentation that exists, it is clear to nearly everyone else that the image is of a child. No measurements on the mummy can be made because the remains have been returned to the native peoples, as, of course, they should have been. This is a very interesting interview with Tom Carey providing his take on how this fiasco developed. You can read more about it on this blog beginning in 2015 or head over to Rich Reynolds UFO Conjectures to review his take on much of this. Just look for Roswell Slides in the search engine provided. 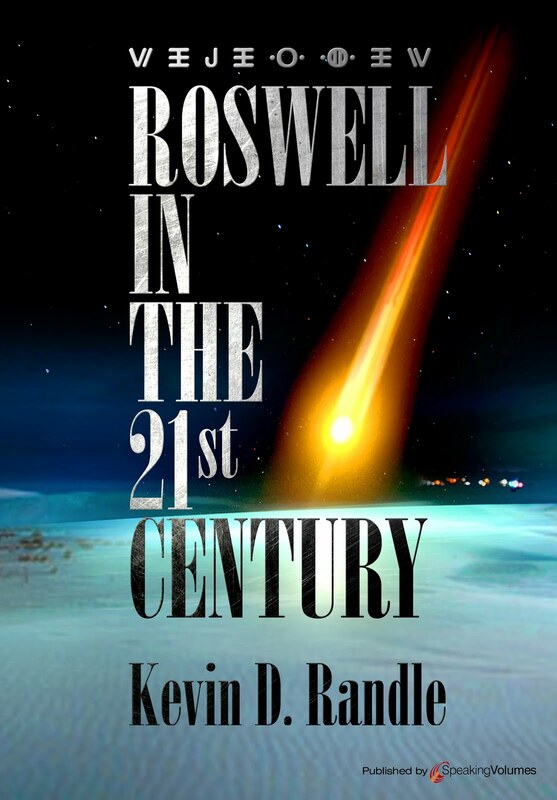 Finally, for those who would like a more concise review, a long, heavily footnoted chapter in Roswell in the 21st Century details this information and also notes some of the arrogance by those who had seen the slides before the big reveal in Mexico City. The relevant section comes at about the 106:00 point of the interview and with Tom Carey and then Don Schmitt talking about seeing the slides. Tom Carey talks about receiving the high resolution scans of the slides in an email at 131:30 and then provides descriptions at 137:00 and 141:00. You can also read, in detail, the story of the slides on this blog beginning in the months prior to the reveal in Mexico City. Just use the search engine and Roswell Slides. There is also a long chapter about them in Roswell in the 21st Century. 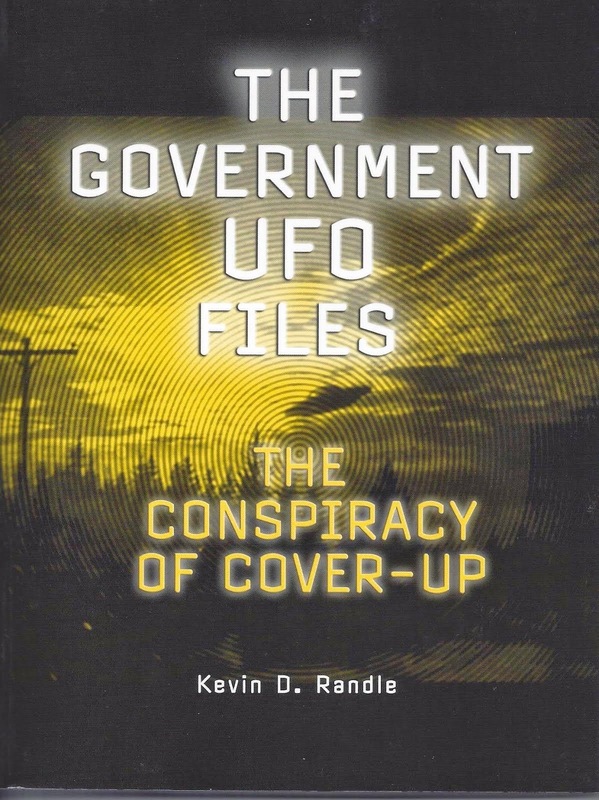 Several years ago, over at UFO Iconoclasts, now known as UFO Conjectures, Rich Reynolds thought it was time for all us geezers to get out of UFO research and turn the field over to the youngsters. His theory seemed to be that we’d gotten too set in our ways, weren’t coming up with anything new and had had seventy years to find a solution and we hadn’t done it. The young blood, not locked into any one theory, would think in new and innovative ways, progressing rapidly if we’d just get out of their way. When I was studying for a Ph.D., one of the things we learned was to make a literature search of our topic to ensure that we weren’t merely covering old ground. The literature search would provide a springboard into new arenas and new thought so that we could build on what had gone on before rather than just duplicating research. We could advance the field, the theory, and the thought rather than just repeat the same mistakes that had been made before. We could actually contribute something new. All well and good but in the last year, as I see more and more of what the new blood has brought to the field and the advances they have allegedly made, I suspect that Rich was wrong. The new blood and the younger researchers are doing nothing to advance the work. They are just grabbing onto the same nonsense that has distracted and derailed us. They don’t bother with any sort of literature search that today, with the Internet, is so much simpler. They just keep filling the air with the same tired rhetoric, learning nothing from the mistakes we made or advancing thought at all. It is a case of the same old same old. Sure. I’ve been engaged in a discussion of the MJ-12 Manual SOM 1-01. It suffers from the same problem of all the other MJ-12 documents which is a lack of provenance, but that seems to make no difference to many. We don’t know where it came from, we don’t know what agency is responsible for it (though the logo on the front seems to suggest the War Department which disappeared in 1947 when the Department of Defense was created) and there seem to be anachronisms in it. It was suggested that wreckage from crashed and recovered UFOs be sent to Area 51/S-4. The trouble is that when the manual was allegedly written, there were no facilities at Groom Lake as it was known then to house the wreckage and no personnel available to exploit it if something did arrive. What was the response? Well, maybe there were facilities in the area they didn’t see. Maybe there was a secret, underground AEC base. Maybe the CIA historian who wrote that section lied about it to keep the secret safe. No evidence of any of that. Just some wild speculation to reject the evidence that there was nothing there to be seen by those who had actually been there. This would seem to be a fatal flaw in a document that has no provenance. We have a description of the area that would eliminate it as a site to send anything at that time. There was nothing there except an invisible facility. Doesn’t this one point actually make defense of the manual a very shaky proposition? Unless something else, with a proper provenance can be found, shouldn’t this guide our thinking? How about the Bermuda Triangle? Back in the early 1970s, I believed there was something mysterious going on in the Bermuda Triangle. The list of ships and planes that had been lost in the area seemed to be overwhelming and nearly every one of them was gone without a trace. I remember being at a conference in Denver, Colorado, when Jim Lorenzen explained that it was truly mysterious because there was a case in which five Navy aircraft flying formation all disappeared. There was just no way that mechanical failure, weather, or about anything else could explain that disappearance. Oh, and in the Navy records concerning the disappearance of Flight 19, we learn that five aircraft disappear when the flight leader orders it. He was hopelessly lost, flying around in circles and ignoring the advice from the rest of the squadron. Finally he said, “When the first man is down to ten gallons, we’ll all ditch together.” And that explains how five aircraft disappear at once. I could go on, but need I? Sure there are those of us who are older that still subscribe to these things and there are those who are younger who do not. We older folks have learned ways of conducting the research that does provide us with some answers. Those younger folks are sometimes too willing to accept what they are told as the truth without asking some additional questions. I learned that lesson after believing some of those who told wonderful stories of their involvement in the Roswell UFO crash and reading Stolen Valor about all these people, men and women, lying about their military service, especially that in Vietnam. In other words, many of those telling us stories about the Roswell crash were lying about it and this included some of the most important witnesses. Where does all this leave us? It would seem that we, of the old guard (aka old school) could provide some useful tips on conducting these investigations if those who are new school would bother to listen. This is where Rich slipped off the rails… we should be working together, those of us from years gone by providing information and guidance, and those who are relatively young providing new ways of looking at UFOs and providing new theories on what is going on. One group shouldn’t be forced out by another and all should be open to reevaluating what we sometimes think of as the proof positive. There is room for everyone if we’re all smart enough to recognize the abilities and experience of each other. Back more years than I care to admit, I read a book, Allende Letters: New UFO Breakthrough (the title seems to be part of the advertising on the cover) written by Brad Steiger and Joan Whritenour. It was much more than just the story of the Allende Letters but it did spark an interest in me. It also raised some questions about all this sort of thing. mention that a researcher, Steve Yankee, who written to the Chief of Naval Operations in an attempt to learn more about them. Part of the Allende Letters case was a copy of Morris K. Jessup’s The Case for the UFO, filled with annotations apparently made by three individuals. Yankee apparently received a copy of that book with the notations from the Navy. I figured if Yankee could get a copy, I should have one as well and wrote to the Navy. They told me to contact a fellow at Varo Manufacturing in or near Fort Worth, Texas. Since I was living in Mineral Wells, Texas, near Fort Worth at the time, I made the contact and eventually received a copy of the annotated book as well, which I mention here for no other reason except to point out that I have a copy of the book and interviewed one of the Navy officers who was responsible for having the annotated book reproduced. Given all that, given what I knew about the case from the Navy end of it and having read quite a bit about it, I concluded that the Philadelphia Experiment, which was the underlying force behind the Allende Letters, was a hoax. I knew that Brad had been involved in some research into them but didn’t know how deeply all that went until I received a copy of Real Visitors, Voices from Beyond and Parallel Dimensions. It seemed that Brad and Sherry were giving some credence to this whole idea especially since they knew Bielek. They were laying out the information that made it seem that Bielek was credible and that some aspects of the Philadelphia Experiment, as described by Carlos Allende were true. They even wrote, “On August 22, 1986, The News of Greeley published his ‘deathbed statement,’ in which Carlos insisted that everything that he had claimed in his annotations in The Case for the UFO were true. He also suggested that he had been Dr. Jessup’s uncredited coauthor,” which also seemed to underscore the validity of the Philadelphia Experiment. This is, of course, a sad commentary on the critical thinking skills of many, and the inability to comprehend what they read. It is clear that the whole Allende Letters mystery was created by Carl M. Allen, that others jumped on the bandwagon and added detail by plugging themselves into the story, but when all was said and done, there isn’t a shred of evidence that any of this took place. Brad, who you might say contributed to the mystery in the 1960s before we had all the information we now possess, has done his part to eliminate this from our consciousness. To read his whole story about it, take a look at Real Visitors, Voices from Beyond and Parallel Dimensions. It solves a few other mysteries as well and clears up the misconceptions about others. Conjectures blog has explored this question several times. Topic: The Roswell Slides and the Cash/Landrum UFO sighting. For those who have questions, you can leave them in the comments section of this blog. The first three books on this list were written by George Adamski (one with Desmond Leslie) and that makes me wonder about this. 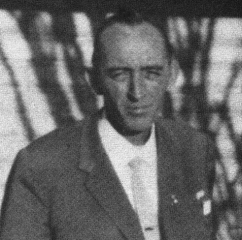 Adamski was the contactee who claimed communication with people of Venus. Tall, good looking people who apparently were worried about Earth and our warlike ways. In the 1950s and 1960s when the contactees were in their heyday, Venus was seen as a world somewhat similar to Earth except the surface was hidden in a perpetual cloud bank that suggested a steamy, jungle-like, swampy planet. Today we know the surface is hot enough to melt lead and doesn’t seem to be the likely home of any living creatures, let alone an advanced race capable of interplanetary flight. This would mean that Adamski wasn’t honest in his descriptions of Venus or in his communication with the inhabitants… his book might have been influential but it was complete fiction. Should it actually be on a serious list? Adamski is not the only contactee represented here. Dan Fry, or should I say Doctor Dan Fry and his The White Sands Incident is on the list. 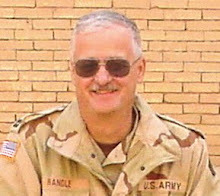 Frank Stranges, or should I say Dr. Frank Stranges, is there with his Stranger at the Pentagon. I’m not sure why there are so many books by contactees who claim to have interacted with alien creatures, usually from other planets in the Solar System. I have to wonder why George van Tassel was overlooked. Another entry that I think is questionable is The Philadelphia Experience. This is that tale we discussed a while back that is based on the hoax perpetrated by Carlos Allende or Carl Allen, depending on his mood. There has been quite a bit written about this, and it was the subject of several books, but the whole thing started when Allende (or Allen) created the letters about teleportation and Navy experiments. He even admitted the hoax and his parents and other family members confirmed the hoax. It seems that this is the fifth or sixth book of fiction to appear on the list. This would be the same complaint about Behind the Flying Saucers. Though there has been some resurgence in the Aztec UFO crash, I believe the case has been discredited. Two of the primary sources had backgrounds that were less than sterling (though I know Frank Warren disagrees with me on that or at the very least doesn’t believe it disqualifies their testimony). I also wonder why UFOs: God’s Chariots made the list when Erick von Daniken’s Chariots of the Gods did not. I mean that if we’re going to credit someone with creating the whole ancient astronaut theory, it was von Daniken who popularized this idea though others had reported on this many years before von Daniken hit the bestseller list. Oh, there are some very good books on the list. David Jacob’s UFO Controversy in America seems to belong. So do the two books by J. Allen Hynek, The Hynek UFO Report and The UFO Experience: A Scientific Inquiry. And let’s not forget Allan Hendry’s The UFO Handbook. Some of Vallee’s books are there, but I wonder if they might not be overly represented. I think the same thing about Keyhoe’s books because I worry that some of the information is more speculative than factual, but then, those books were certainly influential. The same can be said for the Lorenzen’s though they sometimes let their enthusiasm for the extraterrestrial cloud their vision. I was surprised to see Carl Sagan on the list. 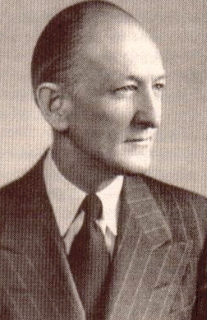 His book with Thornton Page, UFOs: A Scientific Debate is properly there as well. Strangely, Steven Spielberg made the list with Close Encounters of the Third Kind, which is obviously a movie created for entertainment. The book based on it doesn’t add to our knowledge. Actually, this looks more like a list someone prepared of his or her own library of UFO books. It is an eclectic mix of books that run from those that are clearly fiction (Adamski and Fry) to those that actually add something to our knowledge. I don’t know the criterion used to select the books, but it seems that it wasn’t very strict and probably had more to do with MUFON entering the book publishing business than anything else. The program will air on the X-Zone Broadcast Network on Saturday and Sunday at 9 - 10 EDT which translates to 6 - 7 PDT. For those who wish to comment on the content, you can do that in the comments section here. Given the guest and the topic, that could be interesting. Topic: Their investigation into the Lonnie Zamora sighting. create the three-dimensional models Fish used to identify the home world of the aliens is now badly out of date. In creating those models, Fish made ten assumptions. I had always worried about some of those, especially the one that arbitrarily eliminated the red dwarf stars. I worried about including only main sequence stars that were near matches for our sun but rejected those younger, larger main sequence stars. I didn’t like the assumption that a spacefaring race that visited one type of star would visit those stars of a similar type but ignored those that were too different. Well, if you can actually understand the motivations of an alien race, that might have some relevance… or, if all those things were basically equal, but the sixth happened to have a planet with some rare mineral or was a planet that was orbiting in the so-called “Goldilocks” zone, then that might draw their attention. There might be problems with this planet. It orbits its sun in something like eleven days, according to one source, but if it is in the Goldilocks Zone, it would have liquid water on it and that might be a very good reason for a spacefaring race to visit it while bypassing a half dozen other red dwarf stars. This might be the best reason yet for rejecting the Fish interpretation of the Hill map. Some of her basic assumptions are in error. She couldn’t know why aliens might visit one star and bypass another. 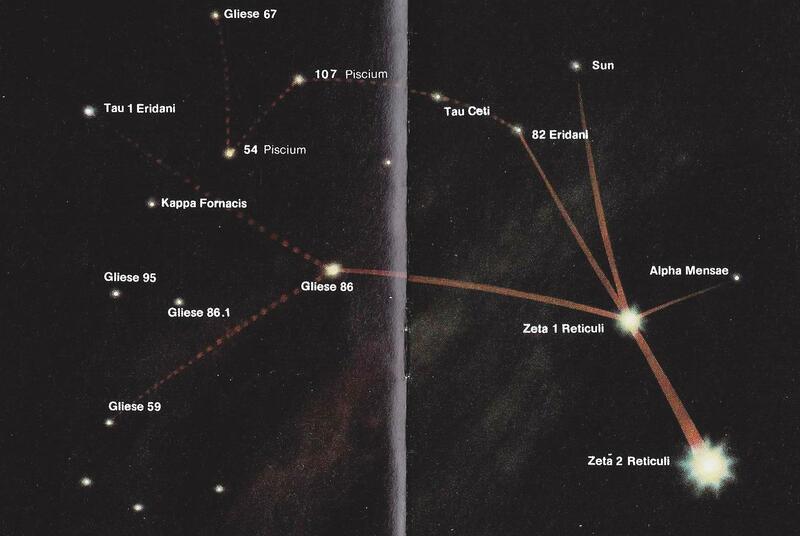 Maybe the one system was filled with dead planets and no water… or important minerals. Maybe the next is filled with things that interest that alien race. And while I’m on this kick, how about this? I have always been worried about the assumption that the sun was on the map, connected by the lines. Why? Maybe this is their first time here and they were surprised to find a technological civilization. Or maybe the alien leader just grabbed the first map he had, figuring that this terran civilian would have no idea what she was seeing, so it didn’t matter. Or maybe her memory of the map was off so that we now have a distorted view. Or, for the skeptics out there, maybe she just “dreamed” this up because she first “remembered” the map during a dream. 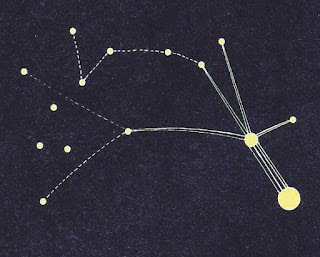 For those interested, I believe it is time to reevaluate the Fish interpretation of the Hill star map, which I have actually been saying for years. There are now too many problems with it for us to continue to consider it reliable. (This also means that I must now reject one of the elements of Alien. 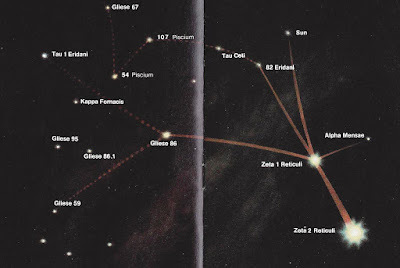 They found themselves at the Zeta Reticuli system where the alien waits in ambush.) That little note is irrelevant but what is not is that the Fish Model and interpretation of the Hill star map is now badly out of date, is wholly unreliable because of that and must be rethought. The bottom line is the map does not provide us with any information about the aliens or their home world… we are now back to where we were before Marjorie Fish (which, of course, is not her fault). Next week's guest: Don Schmitt. Topic: Roswell, the slides, his latest book with Tom Carey. We see the same thing in the MJ-12 main document, that is, the Eisenhower Briefing document. There are many little flaws from the dating format that is more consistent with the digital age and Bill Moore, to the misspellings of words. None of these are particularly egregious, but in the aggregate suggest the document is a fake. I have pointed out that there is a fatal flaw in the Eisenhower Briefing Document and that is the paragraph that describes the El Indio UFO crash of December 6, 1950. It is clear that this is the story invented by Robert Willingham, who first dated it to 1948 and later to the mid-1950s. He told the story to Todd Zechel, who told it to Bill Moore. Zechel believed that Willingham had been a high-ranking officer and fighter pilot in the Air Force but research showed that he had not been an Air Force officer or a fighter pilot. No evidence ever surfaced to prove that there had been a UFO crash on December 6, 1950, and if that story was a hoax, then the Eisenhower Briefing Document was a hoax. This would be the fatal flaw, taking down MJ-12. In the documents released about George Bush there was a similar fatal flaw and it is in the document that refers to an OETR. There is no such document. There is, however, an OET/R. Those inside the Air Guard would have known this and not made such the mistake of calling it an OETR. The source of the mistake, it seems, was an anti-Bush website that had first published some of the documents before CBS got heavily involved. Apparently CBS didn’t know this. Those of you who have served in the military know that all these things are put into file folders and those folders have fasteners at the top. Documents are punched with two holes so that they can be secured in the folder to keep them in a specific order. The document, known as an Officer Effectiveness/Training Report (OET/R), had the two holes punched in it and one of the holes obscured the slash so that it looked as if it said, “Officer Effectiveness Training Report,” or the OETR. Here’s the point. The use of OETR in lieu of OET/R, while seemingly insignificant, points at the fraudulent nature of that document just as the use of the El Indio UFO crash on December 6, 1950, points to the fraudulent nature of the Eisenhower Briefing Document. Both errors, by themselves, prove that the documents are faked. There is simply no way around this. Too often we all get lost in the minutia of the situation, talking about fonts, and spacing, and the other ancillary nonsense. We overlook the importance of some of these errors which demonstrate beyond any reasonable doubt that the documents are faked. For the story about Bush, it proves only that the documents are faked but says nothing about his service, which is, of course, a different issue. For MJ-12, it proves that the documents are faked and it ends the discussion about a committee named MJ-12. While I know this will not end the discussion of the legitimacy of MJ-12, it should. There is no fallback position and there is nothing that has surfaced anywhere to suggest that it ever existed. Too bad that we will continue to waste our time on it. *One of the other troublesome and basically fatal flaws in the Bush documents is the use of a serial number as opposed to a Social Security number. In the late 1960s and the early 1970s, the military switched from using a unique serial number to the Social Security number. By the time these Bush documents were allegedly written, the Social Security number had replaced the serial number on all official documents and the use of the serial number argues strongly against the validity of the Bush documents.